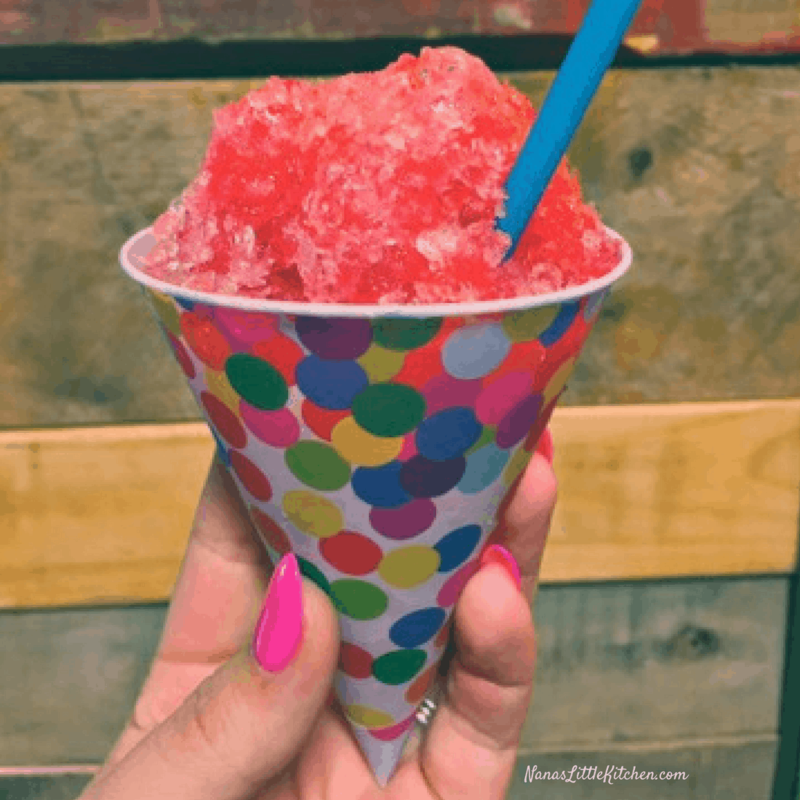 “It’s as hot as blue blazes in Texas and come summer time there’s just nothing more refreshing than a good ol’ snow cone. One of my very first jobs as a kid was running a snow cone stand owned by my parents. And today, it seems like there’s a sugar-laden snow cone stand around every corner which can be tempting for any THM, much less a pregnant THM who has a craving for a blue coconut or bubble gum snow cone like RIGHT NOW. So that’s where this all began. My friend Jenny was my very first THM convert back in December 2015 and those snow cone cravings are more real for her than ever with baby boy #3 on the way! I urgently began scouring Google to find any and all snow cone syrup recipes that would fit THM guidelines so she could stay on plan! Let me tell you it was slim pickings. Then I remembered Nana’s Little Kitchen Sugar Free Coffee House Syrups! I don’t drink coffee and I’ve never made those wonderful looking syrups. But, I knew if Teresia said they were “syrups” then that’s what they were and I was pretty sure a couple of simple tweaks would turn those coffee syrups into snow cone syrups lickety split! 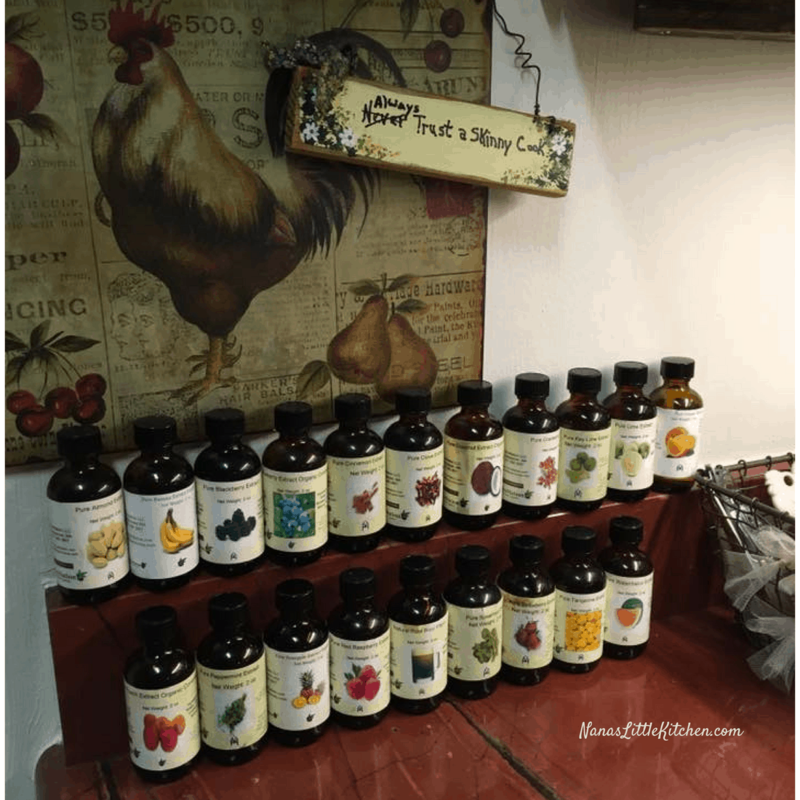 One of my first innovations back in 2014 was to come up with some better tasting pancake syrups than I had been able to find and I called them Easy Sugar-Free Flavored Syrups for S, E, or FP. In fact, it was these syrups that prompted me to start sharing my recipes on Facebook after a friend posted the syrups for me and I saw the response to this new type sugar-free syrup. 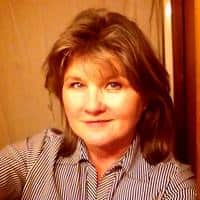 Then I moved them over to a new home when I moved to my WordPress blog. By this time Gentle Sweet had hit the market so the flavor was even better when I tweaked the syrup and it became Sugar (Free) Syrup with Gentle Sweet. I have also posted a special occasion Rich Maple Butter Syrup that contains boiled xylitol and is the closest thing ever to a “real” syrup but with a dramatically shorter shelf life. Tammy’s extract collection gets a full workout for this post and not a single THM including myself is one-bit jelly! Love the sign above it too! 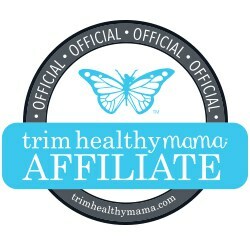 If you’d like to make the same fantastic flavors shown in this post then ordering the extracts like Tammy has would be a great choice, but in a pinch, some good flavorings can be purchased at stores like Kroger. Jenny and I both have found the coconut flavoring there, but I will say I have never found a strawberry flavoring in stores that I cared to use. These Watkins flavorings and extracts are not going to be quite as good in quality or variety as the olive nation, but can usually be found in Wal-mart stores so the ease, price, and convenience is certainly something to consider. Remember to start out with smaller amounts than the recipe specifies and add them to taste and if you find any strong or unusual flavors in these imitation flavorings sometimes adding a little pure vanilla extract can help to moderate the taste and bring it in line a little. 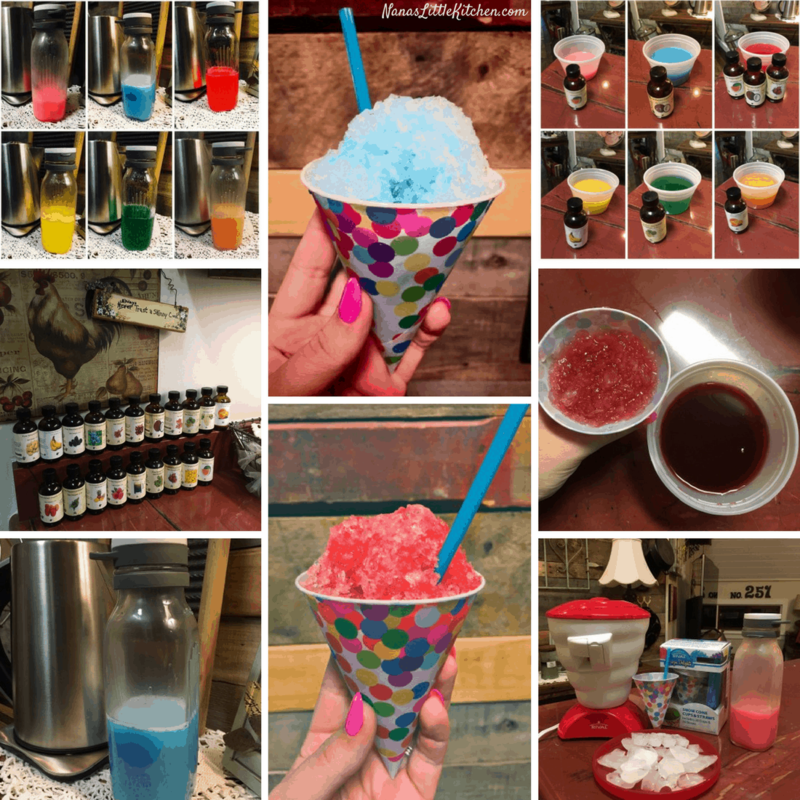 Super Simple Sugar-Free Snow Cone Syrups involve no cooking this summer! Just get the water hot, add additional ingredients and whisk! SLOWLY add the Xantham Gum and whisk briskly to keep it from clumping! Note! You could stop right here and have a plain/unflavored sweet syrup to flavor differently per snow cone, or continue to Step 3 and make a whole batch of the same flavor. Use your favorite kitchen gadget (e.g. Vitamix, Ninja, or Rival's Snow Cone machine pictured above) to shave ice, or just sneak over to your favorite snow cone stand and order a cup of shaved ice! Add 3 Tablespoons of syrup per 1 to 1.5 cups of shaved ice and ENJOY! ** Olive Nation extracts are super potent so you may need more than 1tsp of extract with other brands. ** Watkins flavors, available online and at Walmart, will be colored already so that can be a factor in the appearance if you use those along with food coloring. I’ll bet a watermelon/mint syrup would be perfect for a copykat of Chic-Fil-A’s watermelon mint lemonade too! Could you omit the xanthan gum or is that absolutely necessary? The xanthan gum is a binder so the syrup stays together perfectly when stored and also at the 1/8th tsp per cup of syrup it’s going to give the syrup just a little thickness so it won’t be like you’re pouring pure flavored water onto your snow cone. I definitely recommend it. It’s easy to find in stores now, inexpensive and as long as you don’t boil it you don’t need to worry about it getting slimy like some thickeners can. Are all the Olive Nation extracts on plan? 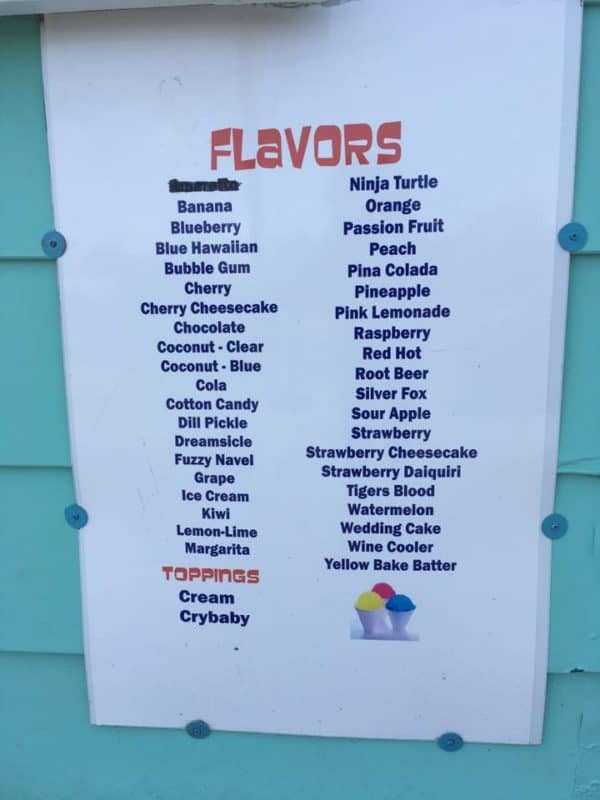 I was looking mainly at the cotton candy and grape as those are my favorite slushee flavors! The flavor fountains are all different so we recommend that you look at the ingredients list for each one to determine if it’s on plan. The grape contains ethyl alcohol and natural grape flavors. The cotton candy has a few more preservatives but there is no form of sugar that I can see in either, which is probably our biggest no-no in THM. As with anything that has natural or artificial flavors – you can’t always know what those things are made from, but these amounts will be tiny when spread throughout the recipe and these are special treats so you can be the judge on the additives. Thank you for this!!! I love snow cones and ever since I saw you post this on the thm fb page, I’ve been scouring thrift stores and yard sales trying to find a snow cone maker. Found one for $7, plus silicone cups and holders!!! Tried your recipe tonight after dinner-I did everything you called for (cream included) except I had a grape Lorann oil so I used 3 drops of it for the whole batch! It was perfect!!! My kiddos loved it, as did I! The cream makes it extra delicious. No need for food colouring either. Can the syrup be put in the refrigerator for a while for later use? Also, do you have a link to more flavors you have tried on your blog? Thanks for sharing . I am excited to give these flavors a try. Yes, this syrup will store a long time in the fridge. Omg! TY TY TY!! I’m in South Texas, where it’s cranking right now! Over 100° every day! While searching the overpriced, DeVinci syrups, to order today….I thought about making my own banana concoctions. Thanks to you, I can do that now! Awesome of you to take the time to share this recipe. Peace! !